By: Tomer Shemesh, Dennis Shtatnov, Adam Cho, Om Mahida. 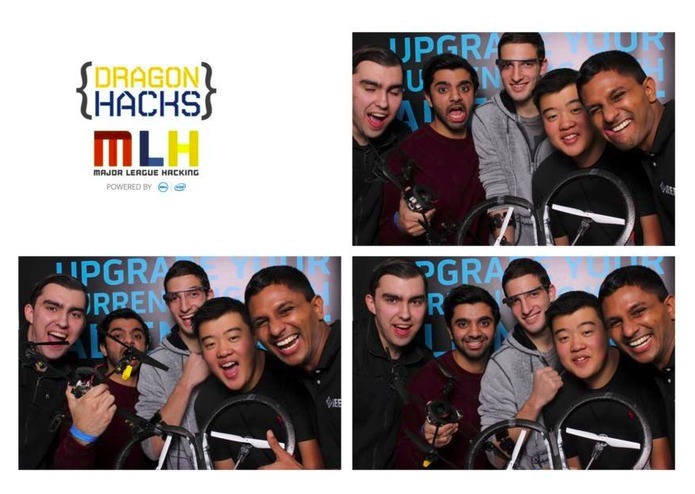 Our goal was to integratre four hardware peripherals to allow you to seemlessly control a quadcopter intuitively using Google Glass and the Myo. We started from scratch too! It was a challenging and exciting 24 hours! 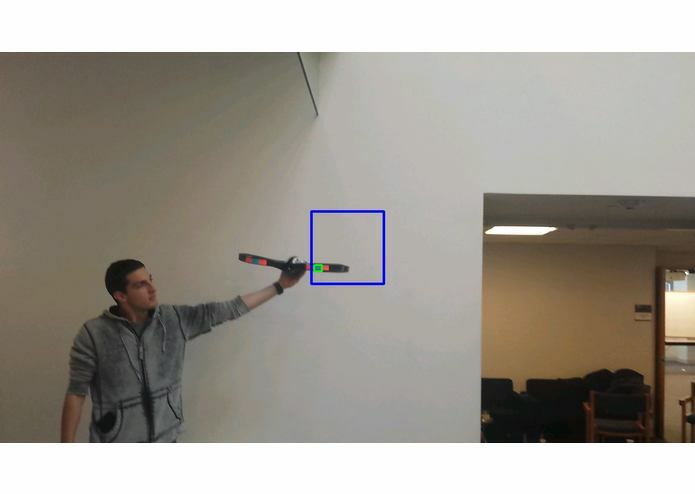 We accomplished this by running Opencv using custom image proccessing to detect where the quadcopter is by using the front facing camera on the Google Glass. 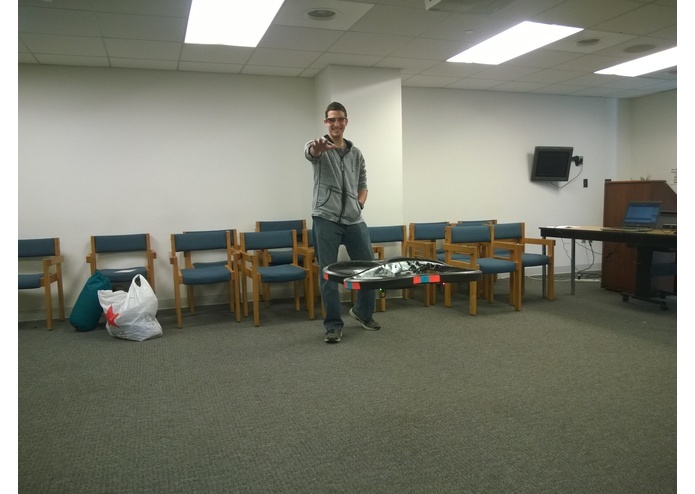 This allows the quadcopter to remain in the center of your view in the X and Y axis. For the Z axis we have integrated the Myo allowing you to use the "force," allowing you to push or pull the drone closer or farther away from you. 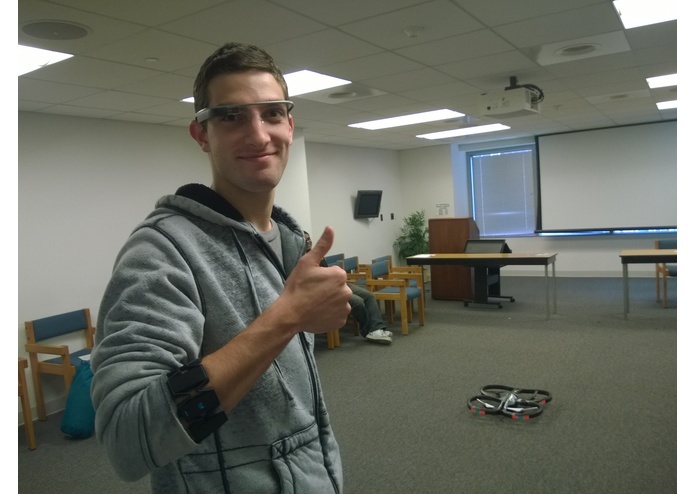 The Myo is connected through Bluetooth to the Google Glass, where the Google Glass processes the quadcopter commands. 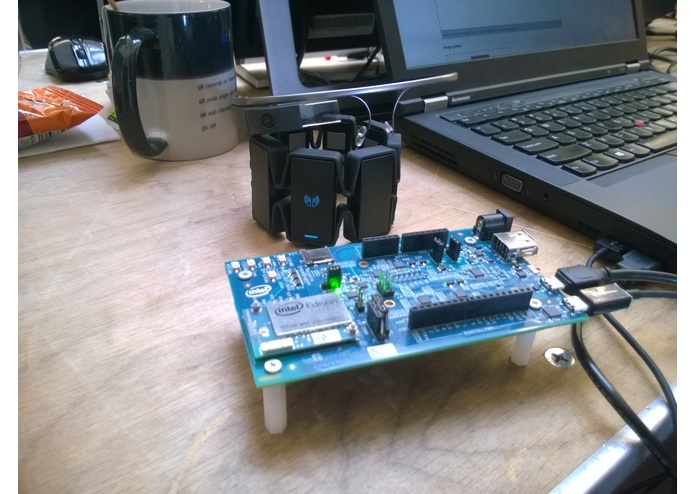 A custom server running on the Intel Edison allows Google Glass to communicate to the quadcopter through wifi.This allows us to send quadcopter commands from the Google Glass to the Edison and have it relay to the quadcopter using modern web socket based API allowing us to do real time data. In addition we have added voice commands, such allowing you to say "Ok Google, Take off." We have also included the ability to land and do a barrel roll. This simplifies commands that might have been harder when using the Myo. This allows you to intuitively and seamlessly fly the quadcopter without having to learn complicated controllers or any programming. programmed the google glass connection to MYO, all the arm controls, and the communication with the local server.